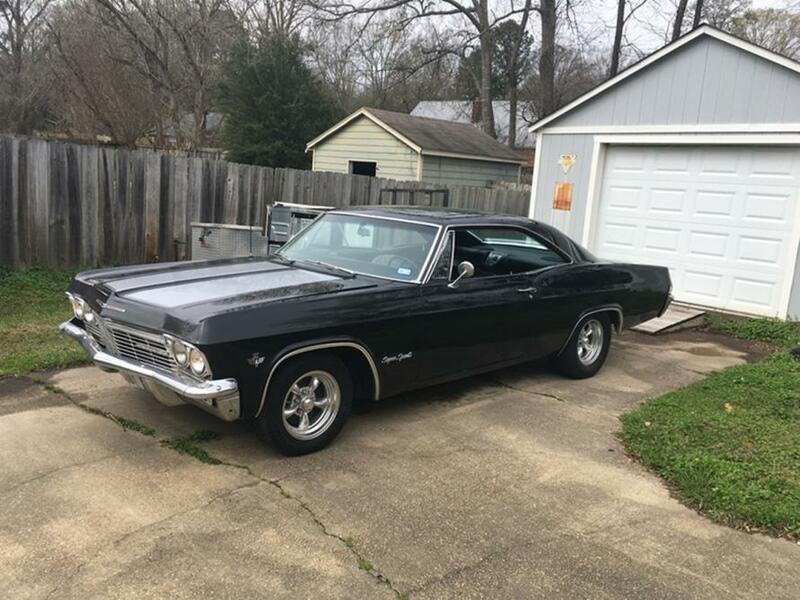 Last week I completed my first set of mods for my 1965 Impala SS. When I brought it home the car sat kind of high and I wanted some more modern looking wheels. This is how it looked when I brought it home. This is what it looks like after I put some more modern looking Foose Knuckles on it and QA1 Coilovers all around. You made a really great choice on those wheels man. Your ride looks great. I'm so tired of chrome TorqueThrust II's. My stance is about the same in front now as yours but I need some tweaking or extra -camber as I get a rub on the lip at tight turns. The first two pictures look great. Wheels and tires along with how loud your exhaust is, is a personal choice. Ride height and originality versus modification is another contentious issue. You will never please all of those you meet. It is your car, so please yourself! You guys are lucky! Every one of these I have owned always sits like it is already lowered and I have to struggle to get them back up at least to where pic #1 and #2 show. Usually the tired springs are enough for it to sag. I never have the problem of it 'sitting too high'. 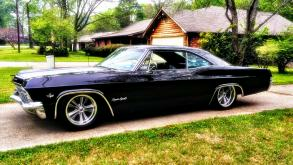 I just installed cargo coils in the rear on my 66 just to get 'er back up again. Thankfully I have an inch and a half gain for now until it settles and no worries of bottoming out. Your car looks good. I dig the garage it sits in too! I too prefer the before look but as Big Dave said basically different strokes for different folks. Your current look is definitely resto-mod style. Just make sure after the coil over install you had it aligned as it will be off with swapping parts as I am sure you are aware and most likely already handled. I prefer the "stock" look myself. However you've done a great job on yours! I pretty much appreciate them all and if everyone made them look the same, it would be pretty boring. I've owned this one for 36 years. Kept it all stock except for a TH-350 and a little "beef up" of the original 327. They are all fun!!! Just curious on another issue. Those who have "permanently" lowered cars, aren't y'all always scraping bottom? 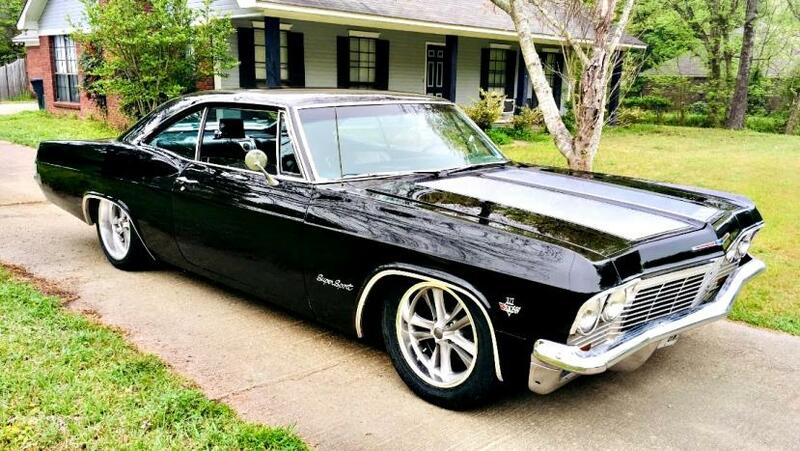 One good example was my '67 Impala. I bought it from the original owner when the car was about 16 years old. By then the original Springs were pretty much sagged out. I didn't like how it looked (personal thing and I understand), but I was always concerned about scraping bottom. I already had it in my plans to raise it back up but one day in a parking lot I scrapped bottom and said to myself, dang, I hope it didn't damage my oil pan. Here I am all ready to attend a family event and I'm under the car checking on it. Soon after I installed a new set of 396 Fronts Springs in it, bringing it up to about an inch over stock. Brought the back up about an inch more than the front. Besides loving how it looked, I never hit bottom again, lol. I personally drop a car to lower the center of gravity for cornering and handling (aka turning it into a TransAm racer). I stiffen the springs by doubling the stock spring rate so that the suspension has little to no give at low speeds. I didn't stick to the engine size restrictions in the rule book though. Like Smokey Yunik I never looked at rules as a restriction, but more as a guide. If you ever saw one of my cars you would know I don't do it for looks as they often have different colored sheet metal parts and I never wash the car. It does corner like a slot car and accelerate like a rocket. 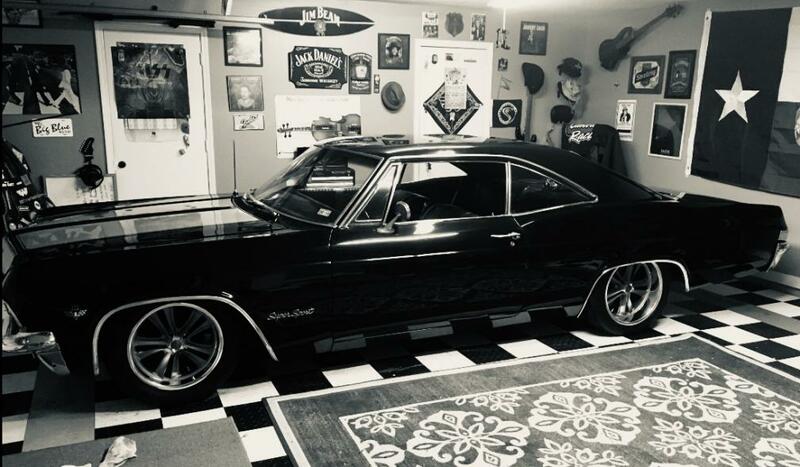 Compared to the Millennium Falcon it didn't look like much, but it could embarrass a lot of the cars I met which annoyed those who bought their SS, Boss, Hemi toys at the dealership. The 'stance' of a lowered car looks cool but this is the main reason I don't like to drop them. I come from the days when we jacked up the rear and had rake so I am particular to that look but I agree when they are low I am afraid of hitting something. 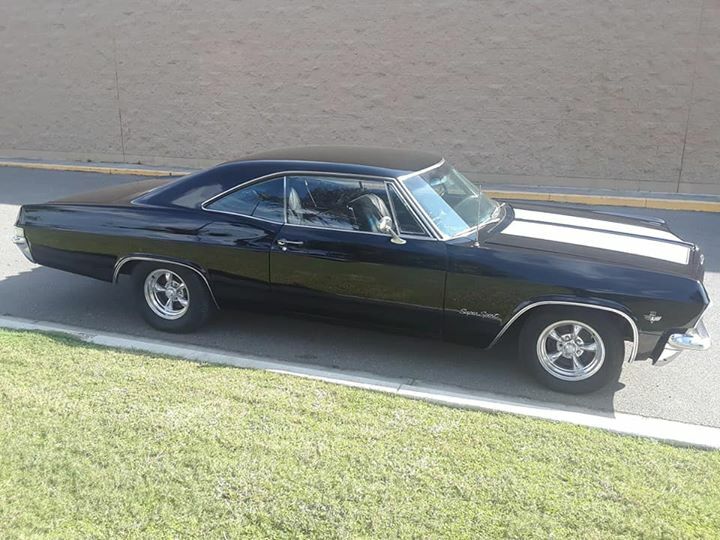 My current 66 had the passender side exhaust that used to hang slightly lower than the trans pan and it would scrape on even mild inclines. so I always wonder how guys get away with this. Palehorse - question; is that hood stripe a decal or painted? I noticed it doesn't run over the top and rear trunk. I dig it. Its painted, I bought it like this. Thank you, I love my man cave!